After Noah Strycker Big year in Kenya July Last year, Arjan Dwarshuis came for his Big Year in April 16-29 2016.His visit coincided with April rains and therefore, everything was green and all the Whydahs,Bishops, Widowbirds and Weavers were all on their full breeding plumage. We were even lucky with some migrants on their way north. The trip was put together by African Birding Safaris and my friends Zarek Cocker and Stratton Hatfield were kind enough to have invited me to provided some guiding services to this experiences birder. joining Arjan in this trip was Ethan Kistler from Birding Africa in South Africa, an exceptional birder who has done extensive birding in Democratic Republic of Congo, Rwanda, Uganda,Tanzania Ethiopia, South Africa and and Malawi. He was blessed with musical ears and for that reason we put him in judge of bird calls confirmation, a duty he diligently performed. In 16 days, we recorded 634 species, using our clement list, and some the highlights of the trip included; William’s Lark, Aberdare Cisticola, Sharpes Longclaw, Gray-crested Helmet Shrike, Boran Cisticola, White-crested and Black-billed Turaco, Blued-headed Bee-eater, African Broadbill, Yellow-crested Woodpecker, Amur Falcon, Karamoja Apalis, Bronze-winged Courser, Red-naped Bush-shrike, Sokoke Pipit and Sokoke Scops Owl. He is now in Uganda keeping up with the chase, and I wish him well, as you may know, Noah isn’t a pushover. This species is commonly seen in Kenya especially around Tugen Hills, Kakamega Forest and Cherangani Hills. 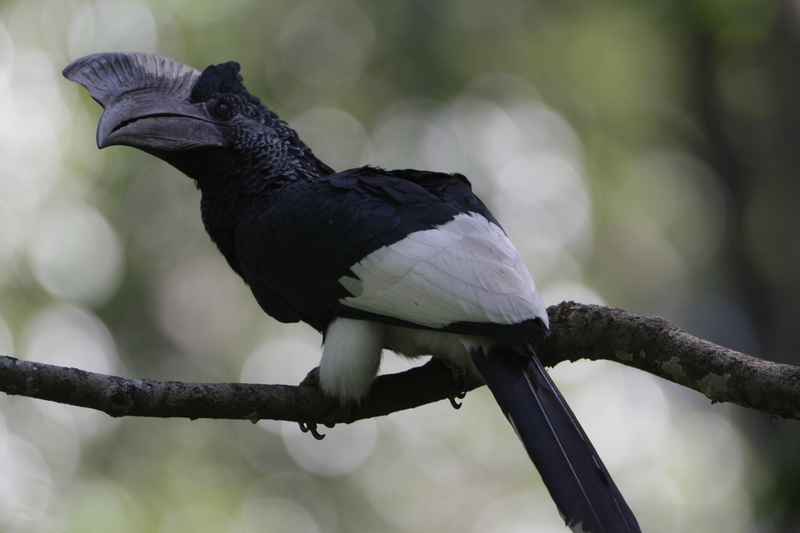 It is an easy species to identify and birders will have less difficulty spotting this species even in primary forest habitat as its flight betray his presence.These birds are mostly frugivorous, with the fruits of Ficus trees composing more than half of their diet. Overall, they are known to eat the fruits of over 41 plant genera, which they forage by hopping from branch to branch in the rainforest canopy and reaching for fruit with the tip of the bill, which they then swallow whole. They also consume birds, eggs, insects, bats, snails, lizards, molluscs, other small animal prey, mosses, lichens, and fungi. Sexual dimorphism is exhibited by these species, and male tend to be slightly bigger than their female counter parts.